You may recall from #FrybreadFridays past the trailer for the mocumentary More Than Frybread. Now you can keep up with the film's World Wide Frybread Association online! "Frybread is more then just a fried piece of dough" says the World Wide Frybread Association (WWFA) who's goal is to help unite the frybread community from around the globe. We know that there are many different types even names for frybread. 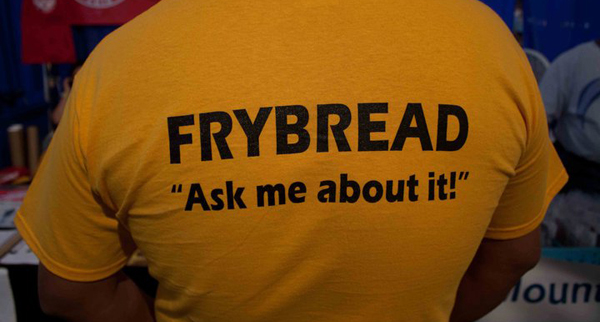 Our mission is to become the regulatory body for the frybread community. When you think frybread we want you to think of us. We do! We are glad for the successful Kickstarter campaign to raise completion funds for the film and look forward to hearing more from the WWFA. Get the latest at facebook.com/worldwidefrybreadassociation.